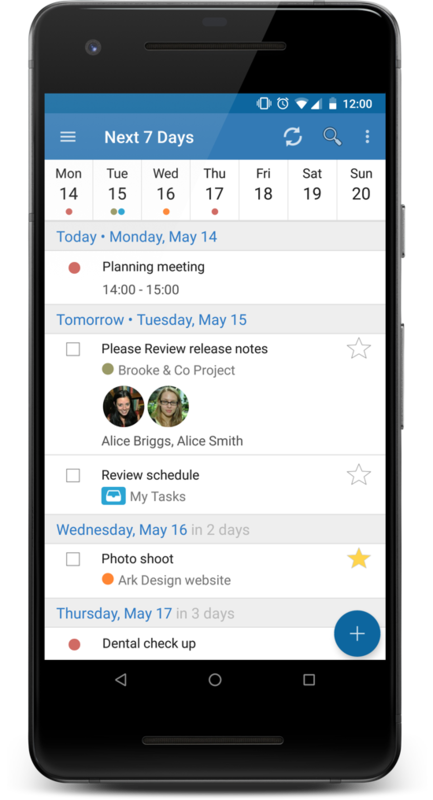 Touch the Today view to see what Tasks you have due today. 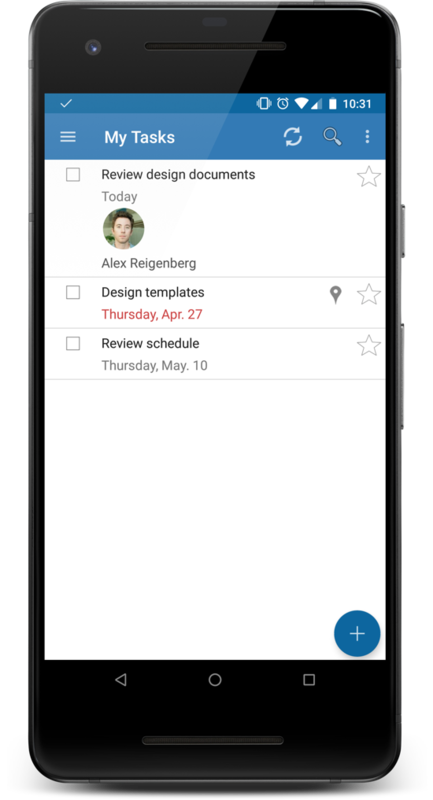 This view will also show any of your Google Calendar events occurring Today. 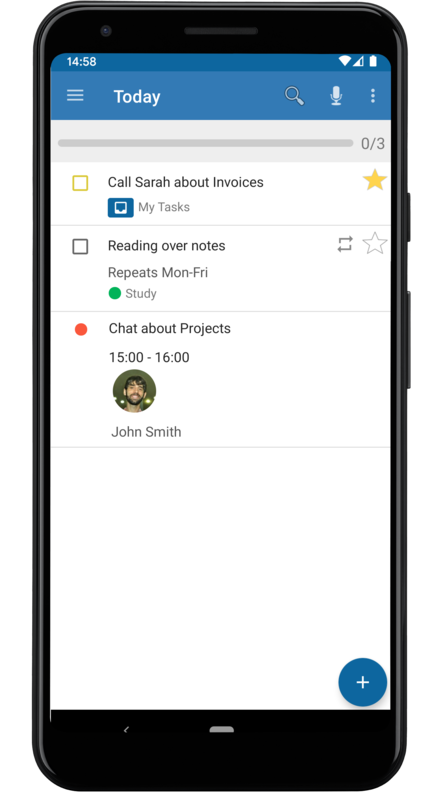 You can create tasks quickly without specifying a To-do list and add them to your inbox, you can also connect to other Taskary users and send and receive tasks to your inbox. 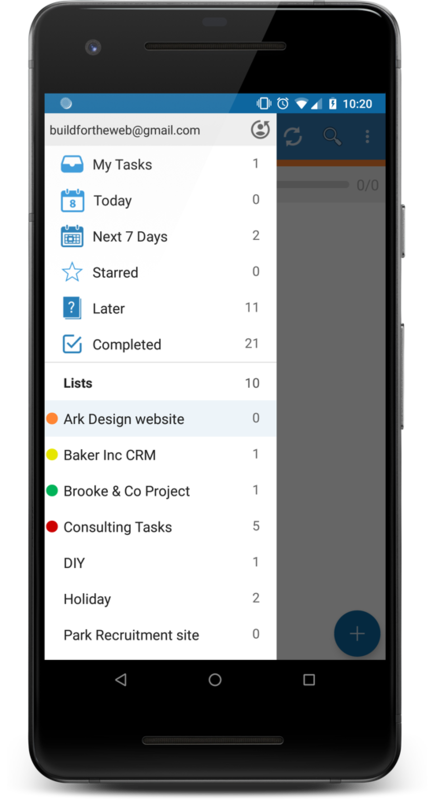 When viewing any list of Tasks, simply swipe left or right for quick options to move the task to another list, postpone or set a due date or to delete the task.